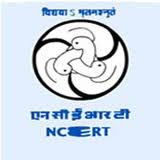 Jobs Details :- Application are invited for the Posts of Engineering Assistant, Sound Recordist in NCERT,(Central Institute of Educational Technology) . Qualifications : Diploma in Radio/ Tele-communication / Electrical/ Electronics/ Communication Engineering recognized by the Govt. of India or Degree with Physics as one of the subject from a recognized University or degree in Electrical Engineering from a recognized University or equivalent degree, or diploma in Sound Recording and sound Engineering awarded by the Film and Television Institute of Poona. Desirable: 1. Knowledge of wireless or Radio Engineering. 2. At least 3 years of working experience in TV Radio Studio. OR Similar recording set up in any organization. Pay Scale : Rs.13500/-Per Month. How to Apply : The eligible candidates may appear for the interview along with their bio-data and original testimonials on on 05/07/2012 at 2.30 PM , reporting time 1.30 PM.Venue: Central Institute of Educational Technology, National Council of Educational Research and Training, Sri Aurobindo Marg, New Delhi – 110016.